Be part of the glitz and glamour as the second floor of Sunset Mall opens its doors! Look fabulous with over 600 never-before-seen clothes and all-new makeup. 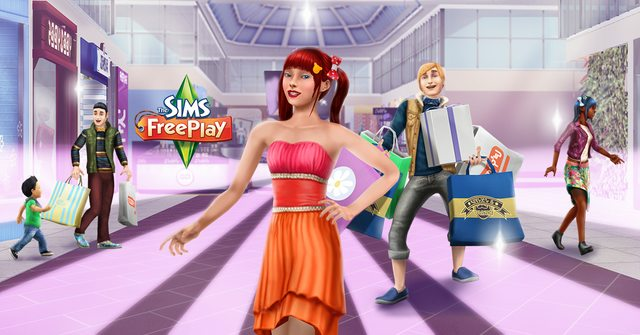 Step out and light up Sim Town with your new look from level 12+. - Sunset Mall’s luxurious additional floor is open for business. Complete the Pretty Little Planters quest to unlock amazing new fashions. - Let your tiny tot explore the wonders of Wumples Play Center while you relax and do some window shopping! - Find your perfect shade for the season with stylish makeup options for your Sims at the Makeup Kiosk! - Become a makeup master as part of the Makeup Artist Hobby and unlock the Ultimate Beauty Vanity. - Rifle through the new Bargain Center which is brimming with great deals waiting to be found as part of the Fashion Hunter Hobby. - Feel the thrill of flying with the state-of-the-art Indoor Skydiving Center. - Catch the latest flicks with your friends or a hot date at Sim Town Cinema. - Capture the moment with a friend! Take memorable snaps in the Photo Booth. - Dream big and make a wish in the opulent Coin Fountain. 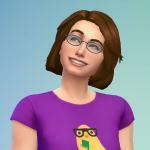 Find the looks in The Sims FreePlay. Like us on Facebook for the latest news.